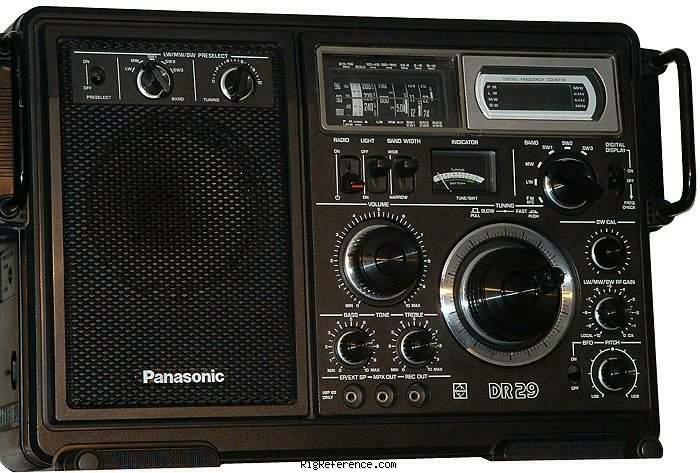 The Panasonic RF-2900 is virtually the same as the earlier RF-2800 but features a blue fluorescent digital display rather than red LED, The earlier RF2800 digitally displayed only shortwave frequencies. The RF-2900 additionally displays medium wave and FM frequencies. Bass and Treble tone controls are featured. This is the European version of National / Panasonic RF-2900. Estimating the value of a rig can be challenging. We collect prices paid by real hams over the years to help you estimate the current value of the National / Panasonic DR-29. Just bought or sold this model? Let us know what you traded it for and help other ham operators!